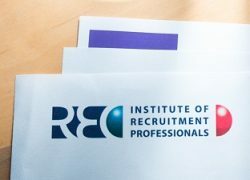 REC Congratulations to Cassie, Robyn and Ollie! Over £1.5k raised to fight male cancer on our charity ‘man-day’! 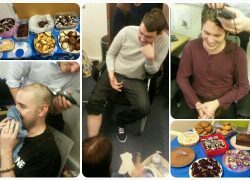 Friday 13th March saw our quarterly charity day at Compass Associates. As well as the usual fun, food and dress-down there was also significant hair-loss involved to raise money for two male-focused cancer charities: Prostate Cancer UK and Orchid. 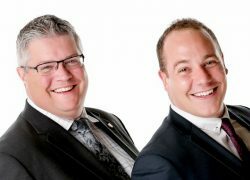 Manchester men Geoff and Ollie raised £633 for When You Wish Upon a Star by fighting the flab after the festive period and shedding lbs to raise £s.